3D projections and stunning animated colors exploded over Sydney Opera House. The show is called Lighting of the Sails, live from 6pm and absolutely free. This is one of the fact I love about shows in Sydney, everything's free. Thousands of tourists thronged Circular Quay, armed with hi-tech cameras to capture these stunning moments. The light and animations played in complete rhythm with the music. 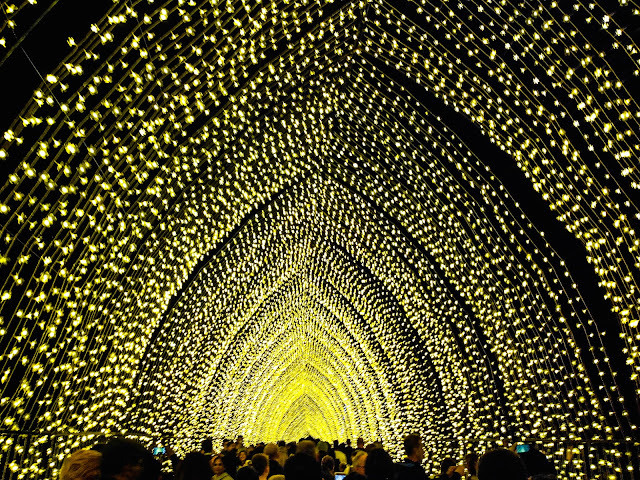 This year, Vivid LIVE has commissioned award-winning international artists 59 Productions to create a new projected artwork for the sails of the Sydney Opera House, Vivid LIVE’s most public event. Lauded for developing ‘the most sophisticated use of film in the theatre to date’ (Metro) and creating ‘an entirely new art form’ (The Guardian), 59 Productions will now take the iconic building on a dramatic journey through time – from the birth of architecture and civilization through to the pinnacle of human and technological achievement. The best thing about these shows is each sequence is played repeatedly, so you can watch it and then click as many pictures as you want without missing out anything. Over a period of three weekends I have tried to visit and capture the work of amazing artists and engineers. The next part would be the last in series. Oh wow, what a beautiful sight! Lovely colors and reflections.. beautiful images.. Thanks for sharing these pictures of Opera house in these new avatars.We could see them through your lenses. Simply stunning!!! Wow - what an amazing light show! The Opera House is amazing lit up, nice captures. Gorgeous night shots, the show must be an amazing visual feast. Such a great building. Did you know all the sails form one single ball? 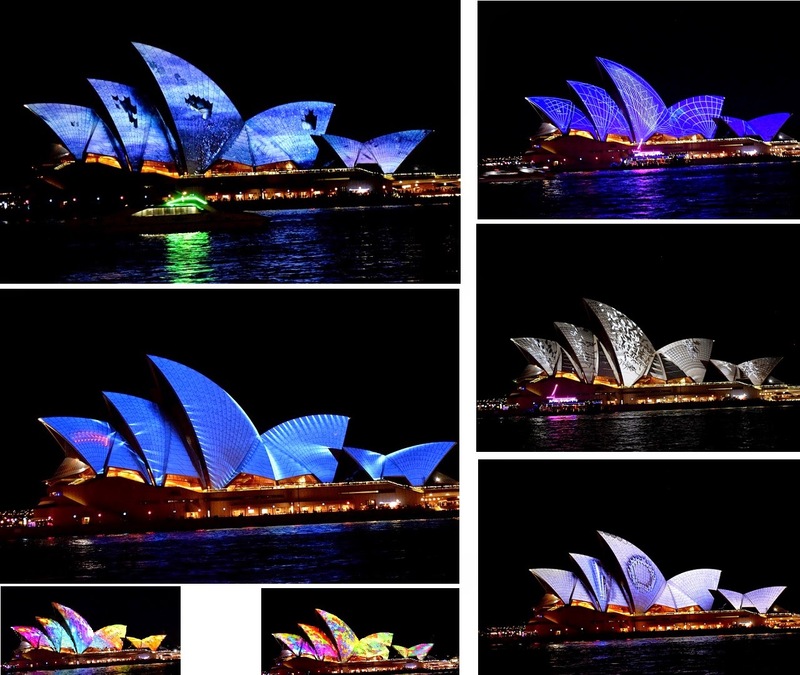 Wow, I had no idea that the Opera House had so many colors - such a lovely variety! These are beautiful! It must be so special to see this in person. Beautiful scenes! Hope I see this someday!